John Wood and Nathan Lyons at the opening of an exhibition of his work at the Grey Art Gallery in New York City, May 2009. Grey Art Gallery at New York University. John Wood is an educator and artist who worked in a wide range of mediums. 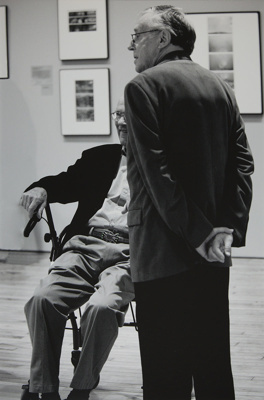 His work was exhibited and collected by organizations across the United States including the George Eastman House and Visual Studies Workshop.